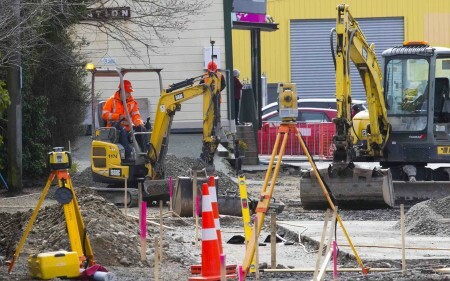 An External Advisory Group set up to provide independent advice on Christchurch City Council’s long-term capital works programme and related spending plans has delivered its final report. The report includes a number of recommendations for how the Council can improve its processes and frameworks when preparing future Annual Plans and Long Term Plans and was tabled at today’s Council meeting. Every Council must prepare a Long Term Plan every three years and an Annual Plan in the years in between. The documents are critical because they set out the work the Council will do and how that work will be funded. Christchurch City Council is currently in the process of finalising its draft 2018-28 Long Term Plan. “The External Advisory Group has provided us with very valuable advice and its feedback is already helping us improve our approach to governance over what is an incredibly complex capital programme," says Mayor Lianne Dalziel, who established the advisory group and appointed former Mayor Garry Moore as its Chair. Elena Trout - an independent director and consultant. Mayor Dalziel says Council management worked with the External Advisory Group as it researched and prepared its report. Some of the issues raised by the group have already been separately identified by the Council’s executive team and will result in changes to planning processes. “What the External Advisory Group’s report does is highlight the complexity and challenges the Council has faced in preparing a budget of more than $10 billion for the next 10 years, including a capital programme of about $500 million a year,’’ the Mayor says. “Christchurch arguably has the most challenging LTP in the country to put together, with such a massive amount of work still required to the city’s infrastructure after the SCIRT programme failed to deliver the expected level of repairs. “We were told we would inherit a 21st century resilient city, but unfortunately necessary work not deemed covered by the Cost Sharing Agreement, reduced standards and patch repairs have left holes in our budgets as well as our streets. “We have asked the Chief Executive to review the final External Advisory Group report and to provide advice on how we can improve our processes and frameworks so we’re better placed to deliver future Annual and Long Term Plans," Mayor Dalziel says.